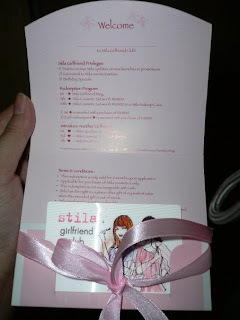 Plus Size Kitten: Finally got my Stila Girlfriend Freebies! 1st to receive Stila updates on new launches & programmes. Get invited to Stila events/parties. Subsequent star awarded with purchase of RM150. 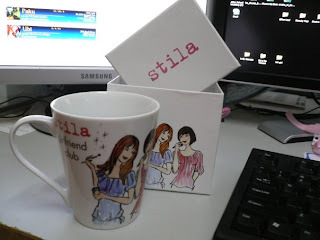 My Stila GF Club Mug which comes in a cute box. Are all these rm800 worth of Stila Cosmetics? It don't looked like rm800 and boy if it it, our currency is really weak! rm800 for 9 items is MAD. Later on I got an sms from Stila BU asking me to collect my gifts. I was confused, did they split the redemption up or did I finally win a Stila contest that I have been entering in magazines? I don't know but check out my latter post on the gifts. It's amazing!